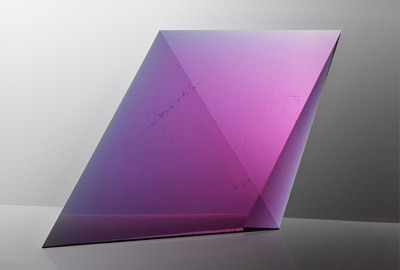 Since the early middle ages Bohema belonged to the glass making countries. 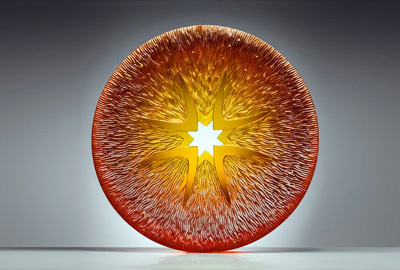 The excellent quality of the material, the individual and artistic processing were the trade marks of the Bohemian glass artists. 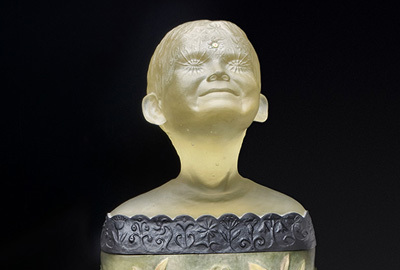 During the second half of the Fifties, Czech artists detected the capability of glass for expression initiating the origin of the glass sculpture. 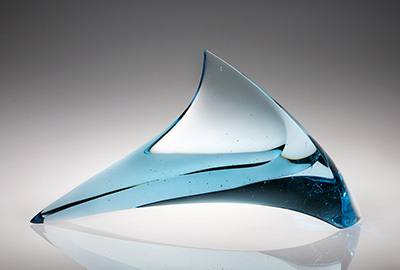 Since this time the material glass has succeeded as a new art direction, whereby today the Czech glass artists undoubtably belong to the wolrdwide top of this art. 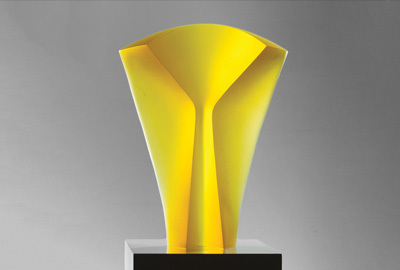 The success has its origins in the long tradition as well as in the outstanding and unique ten-year lasting education, which consists in most cases of the studies at one of the glass schools and the subsequent studies at the Prague Academy Of Applied Arts. 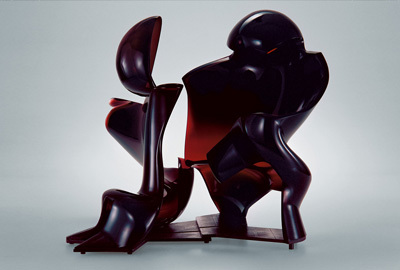 This comprehensive education implies the perfect skill as well the artistic realization. 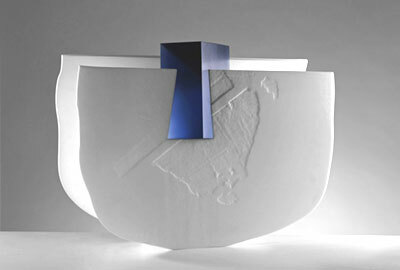 Peter Bremers is a master of light, depicting the sublimity that occurs in nature in his sculptures. He does not want to imitate or follow, but express his sensitivity to miracles as a person and artist. His fascination for the cultural and natural diversity of our planet is one of his greatest inspirations. 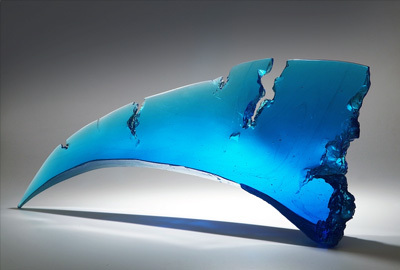 The artist works with glass and metal, using the fragility of glass in his works as a counterpoint to the roughness of the metal. 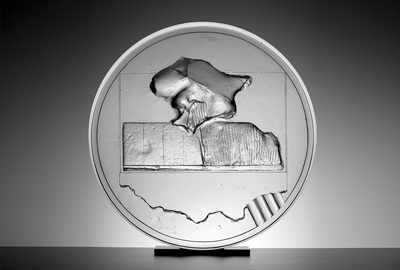 He employs the reflections and their repetitions caused by the transparency of the glass inside and outside the object to generate changing spatial tension depending on the angle. 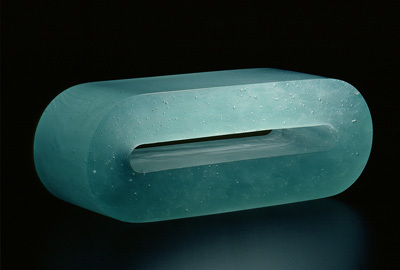 This renowned artistic couple belonged to the initiators of modern glass. 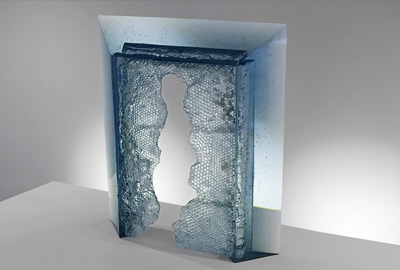 By creating their monumental cast glass plastics, Prof. Stanislav Libenský and Jaroslava Brychtová claimed right from the beginning the artistic appreciation that is usually being accorded to a sculptor or a painter in the free arts scene. 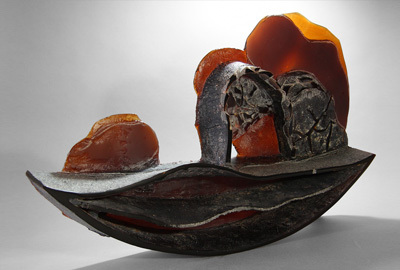 Malvina started to use glass in her work as an established artist whose paintings were in collection of the State Gallery of Cyprus. 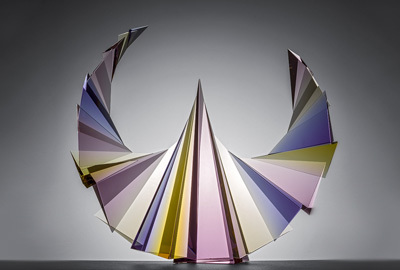 Her artistic methodology includes patterns, colors, strong expression, and perfectly balanced compositions. 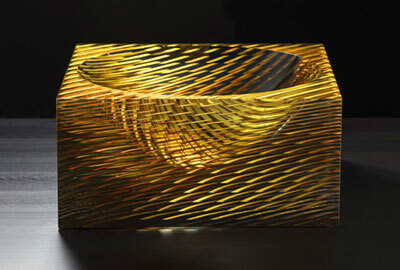 She uses glass like blank canvas which she then covers with colored light. 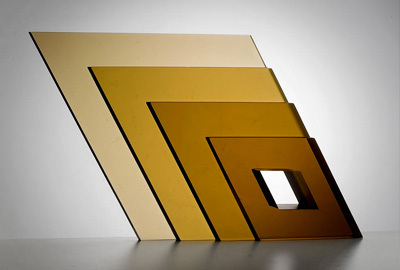 The artist works with simple geometrical shapes, reflections and optical illusions using cut and polished glass surfaces. 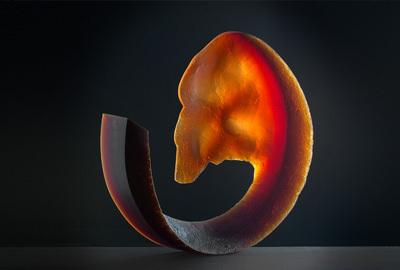 His well thought-out and perfect cut reflects light, creating contours and geometric shapes within the sculpture, in this way he is able to capture the nature of glass using his primary attributes. 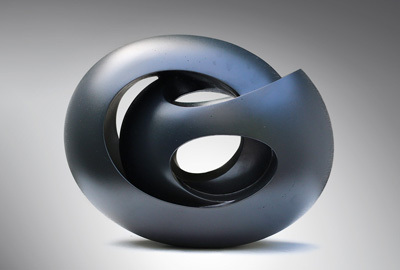 Jan Exnar combines the sculptured form with a perfectly cut surface. 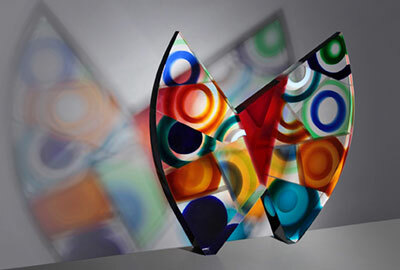 To shape the forms he makes use of the transparency of the glass and its strong colors. 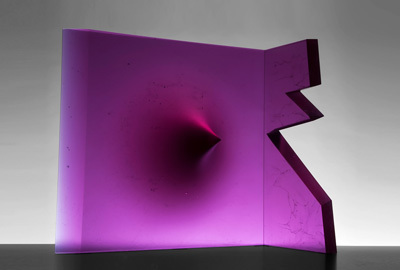 The effects of the light on the cast and cut forms of his glass objects transform them into fascinating, permanently changing monumental sculptures. 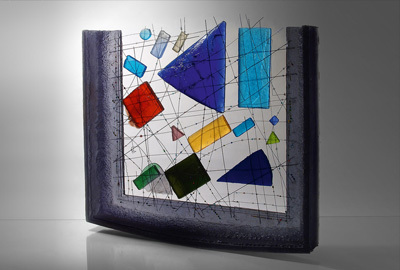 Initially the artist took advantage of the optical characteristics of glass and composed perfectly cut parts to geometrical forms. 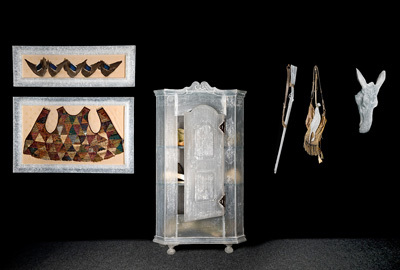 In her later phase, the objects are based on the form of a circle or a triangle that give an mystical impression due to the expressive surface and the warm colors. 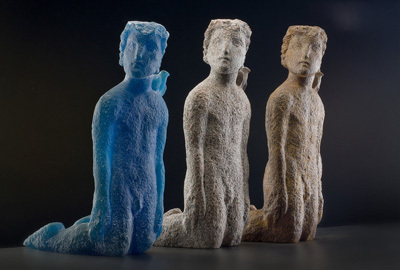 The artist’s education as a classical sculptor becomes apparent in his work. 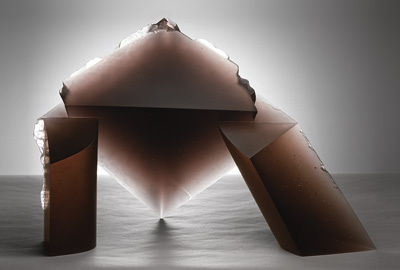 For him glass is an equivalent material that he uses together with other sculptural materials, such as bronze, metal or stone etc., thereby taking advantage of the transparency and the reflection of glass for his artistic expression. His poetic way to look at nature, forms his work in a individual and original manner and philosophically demonstrates the vulnerable connections of our environment. Just as important to him are the details which are not visible at first sight and which get an dominant meaning in his objects. Marek Brincko is fascinated by different themes. 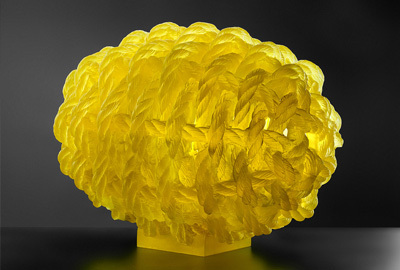 His Organica Collection integrates the mesh of honeycomb in his sculptures. 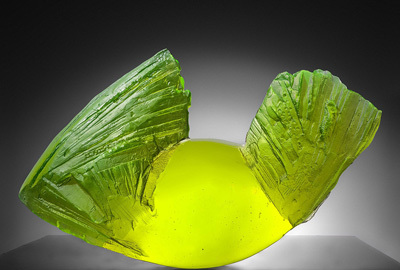 With its vivid colours, Uranica represents the accumulation of energy in different forms. 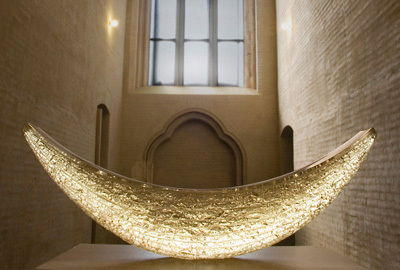 The Orks series reflects the magic of medieval elements with Gothic arches, pillars and elements. 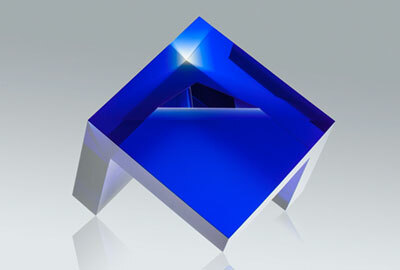 Jančovič primarily uses geometric morphology, typically derived from a square surface or cube volume. 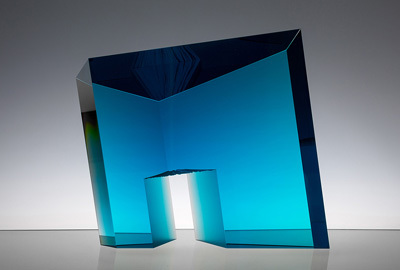 By using optical glass and its combination with colored glass, he creates ever-changing optical dynamic in fixed static geometric forms, depending on observer´s viewpoint. 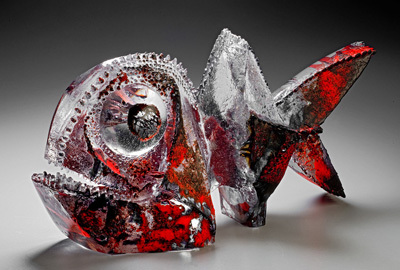 The artist’s imaginative world can be seen through his glass sculptures. 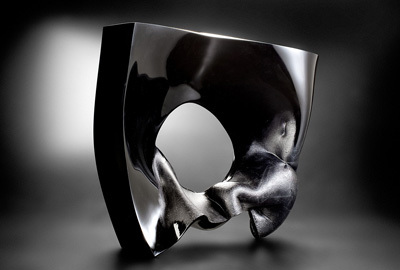 A central motive of the abstract themes in his work mainly is the symbolic of life and death and the four elements. In his figurative works he creates fantastical underwater creatures with strong emotionality and intensive expressions. 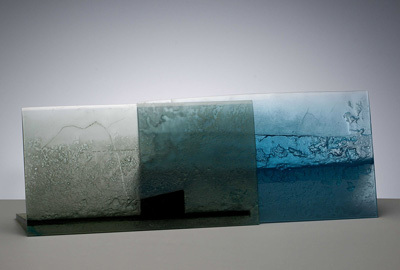 The young artist Luba Bakičová graduated from the studio glass department of University J.E. Purkyně, Ústí and Labem (CZ). 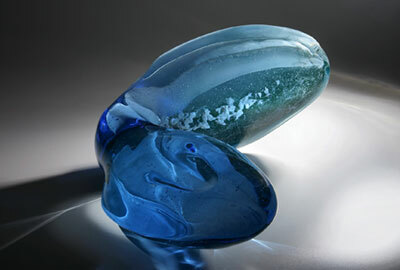 The central theme of her work is glass in sculptural art. 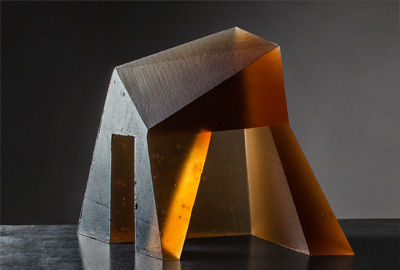 She focuses on the hidden characteristics of glass and uses a form of the designed experiment, to uncover and visualize them. 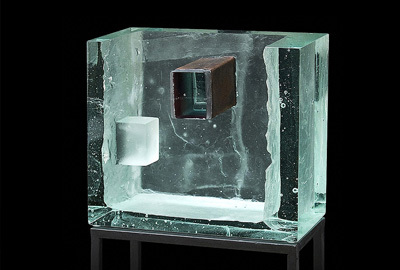 Abstractions give his objects, that were made out mould melded glass, an incomplete, almost unfinished appearance. 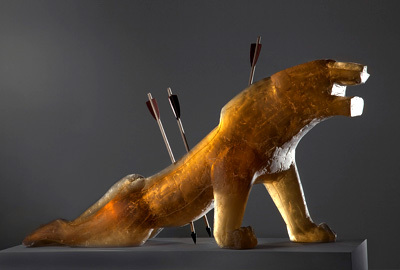 His independent sculptures are full of irony and liveliness. 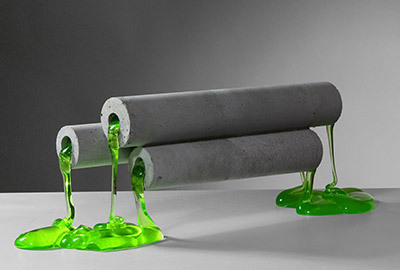 Sometimes the artist combines various materials with each other, in order to underline the artistic statement.